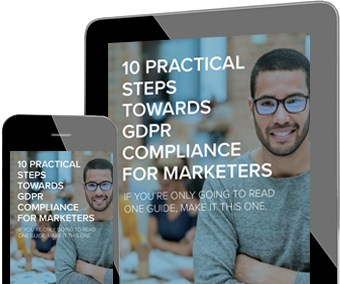 Are you prepared for the General Data Protection Regulation (GDPR) in marketing? The clock is ticking – to help you reach your compliance goals, we are holding a GDPR bootcamp for marketers on Friday 15 September 9am-12pm at our headquarters at Green Park, Reading, RG2 6GP. While GDPR is a hot topic, marketers are still trying to wrap their heads around compliance. Our event aims to provide best practice advice on GDPR from a marketing perspective to equip you with the knowledge you need to prepare for May 2018. Jim Sneddon is a security industry veteran of 17 years with a wealth of experience working with organisations helping them to become compliant and secure. Jim is also a Certified Information Systems Security Professional (CISSP) and a Certified EU GDPR Practitioner. Sarah is a partner in the Commercial & Technology team with a strong portfolio of tech businesses in the technology, digital publishing, advertising and communications sectors. She has more than 13 years’ experience advising on complex technology related projects. Sean leads our digital delivery teams. A highly experienced digital expert specialising in cloud based technologies, he is responsible for ensuring that our range of professional services is delivered seamlessly to clients. Sean holds an IDM award in General Data Protection (GDPR). Don't miss out on our GDPR Bootcamp for Marketers - reserve your place.